Everything You’ve Come to Expect. 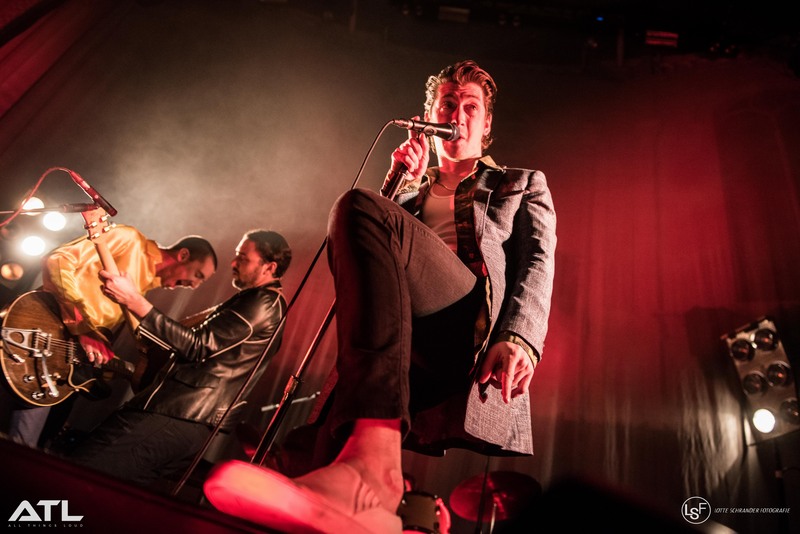 That’s the title of The Last Shadow Puppets’ first record in eight years, one which has been so long in the making that Alex Turner and Miles Kane may as well be two completely different people compared to when they first started out. 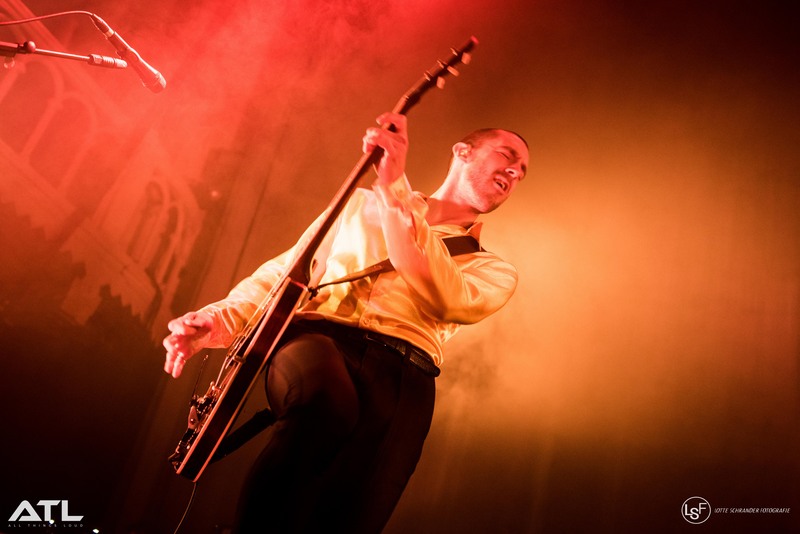 Whereas Kane ditched The Rascals and went solo (to minimal success), Turner has become one of rock music’s biggest names thanks to the enormous rise of his band Arctic Monkeys. This makes it all the more surprising to see the band finally return, with their current promotional run taking place in grandiose venues which (Turner at least) could easily sell out ten times over based purely on their other successes. 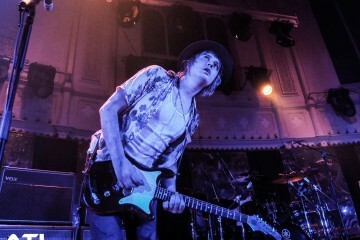 Last night, Turner & Kane hit Amsterdam’s Paradiso for a show which felt more like a homecoming than anything else. English garage rock trio Yak joined along for the ride. The Paradiso was visibly full by the time support act Yak took to the stage, even if the entry regulations were stricter than usual. 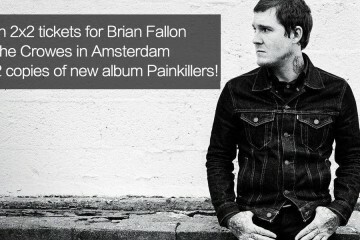 All tickets were sold in conjunction with personal names and details, meaning that ticket holders could do little to sell on their tickets unless they were willing to shell out an extra ten euros for the opportunity. Thankfully this didn’t deter the crowds from showing up on time, meaning that Yak pulled off a well-received set in front of some 1,500 revellers. Compared to Turner and Kane’s output, Yak are very much a hard-hitting trio who utilize pulsating basslines, manic guitar passages and forceful percussion. 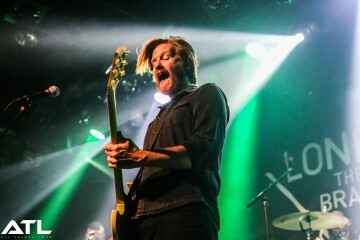 Frontman Oli Burslem interacted with the security by handing the same guard his guitar twice to hold on to, much to the basement of the black-clad staff member. 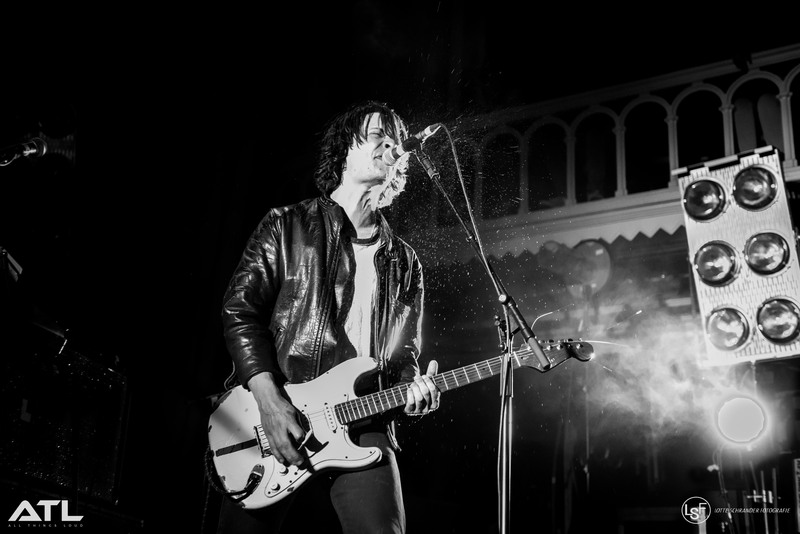 Yak’s debut album Alas Salvation comes out on 13 May, and it’s set to be one of the year’s best in its genre. Did they warm up the crowd for The Last Shadow Puppets? Most certainly. As Kane and Turner took to the stage, it became very evident that, although it’s all about them, there’s still a whole band backing them who are just as important. Mini Mansions’ Zach Dawes fills in on bass duties, with a full string section further joining the band. Set opener Calm Like You (preceded by a Black Plant strings intro) made for an instant throwback to the past, presenting itself as one of eight old tracks featured during the show. 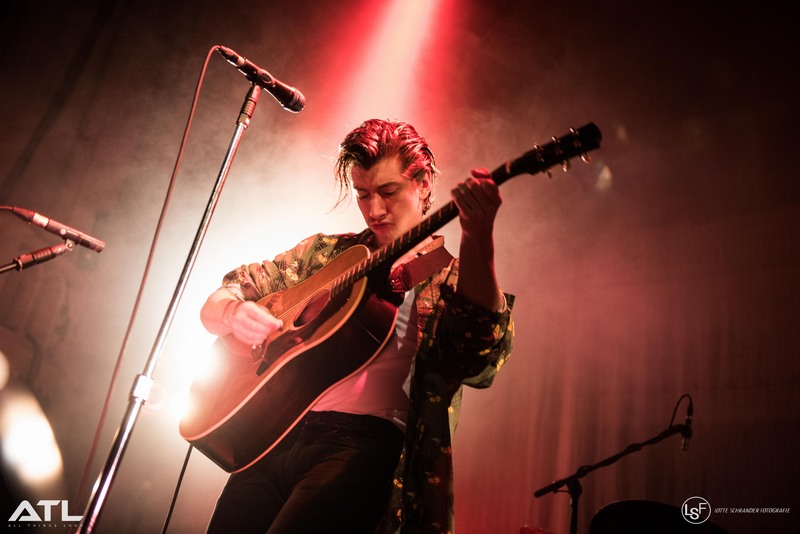 “I can remember when your city smelt exciting” sang Turner, whose hair was still as immaculately gelled up as it ever was. Dressed in casual attire, Turner’s lazier image completely contrasted that of the energetic Kane. 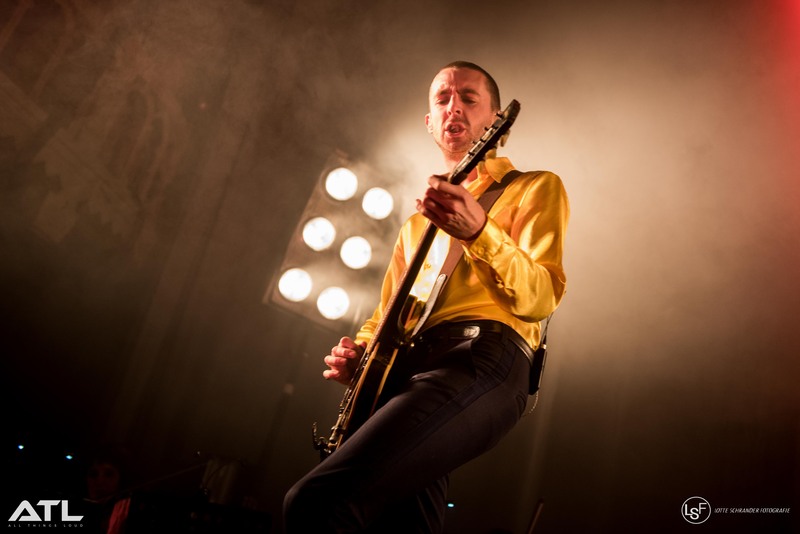 The Scouse solo artist (who last released an album quite a few years back) was dressed in a bright yellow shirt and spent a lot of the evening bounding energetically about the stage as he furthered his brotherly romance with Turner. 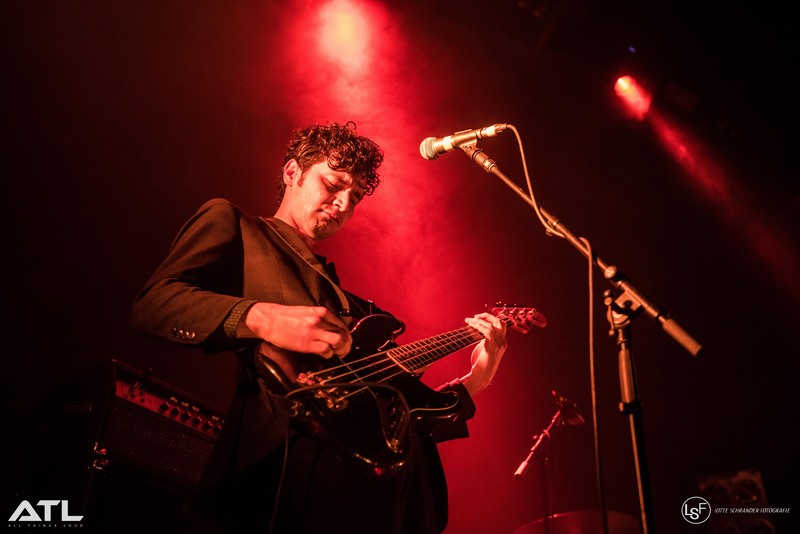 The Age of the Understatement’s pulsating, Western-tinged percussion and strings sounded like a grand movie soundtrack had descended upon Amsterdam, with Turner once again in the spotlight. 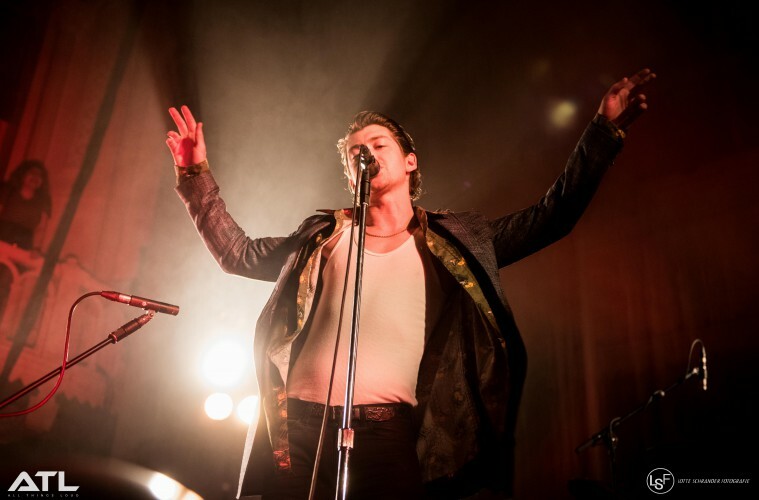 Turner’s mic was positioned right in the middle of the stage, with Kane seemingly shoved to the side to make it seem like an Alex Turner-fronted project. Not that this is too much of an issue, though, because Turner is a born frontman and Kane is a perfect understudy. She Does the Woods’ laid-back rhythms and harmonies showed off Turner’s deeper vocals nicely, with show highlight Sweet Dreams TN later on hitting home how well Turner’s voice has progressed over the years. Even though it’s been eight years since Turner & Kane last put out music together, it sounds like they were never gone. Both the older and newer tracks complement one another nicely, with older cuts in particular sounding like they’ve been completely revamped and injected with a new sense of energy. 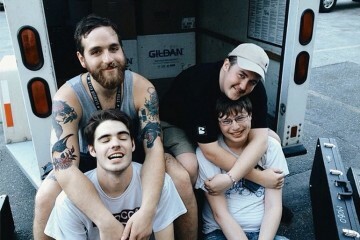 Whereas Separate and Ever Deadly used to sound quite laddy and youthful, the track now sounds more mature and polished. Even the slow-burning My Mistakes Were Made For You seemed like a brand new track, even if not much has been changed musically. 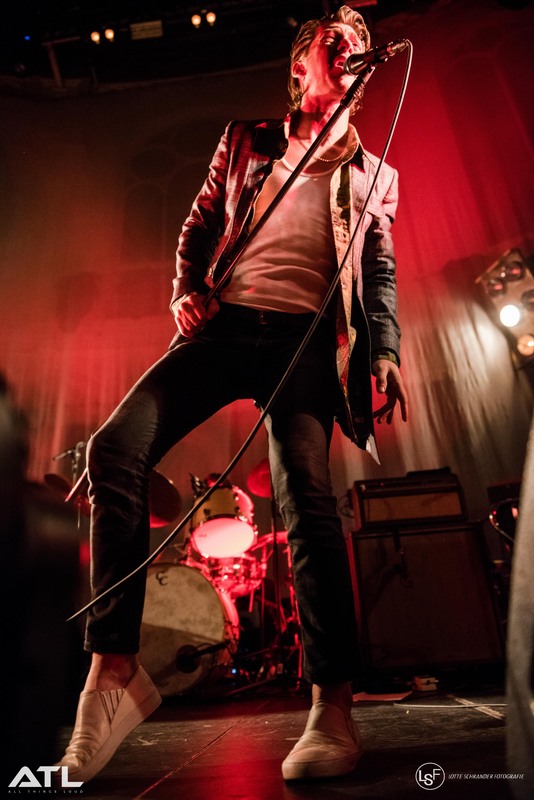 “Innocence and arrogance entwined in the filthiest of minds” sang Turner at the close of its chorus, with his lyrical prowess having only bettered itself in the eight years since. The lyrics on Everything You’ve Come to Expect are things of beauty, proving that Turner and Kane are masters of the written craft. 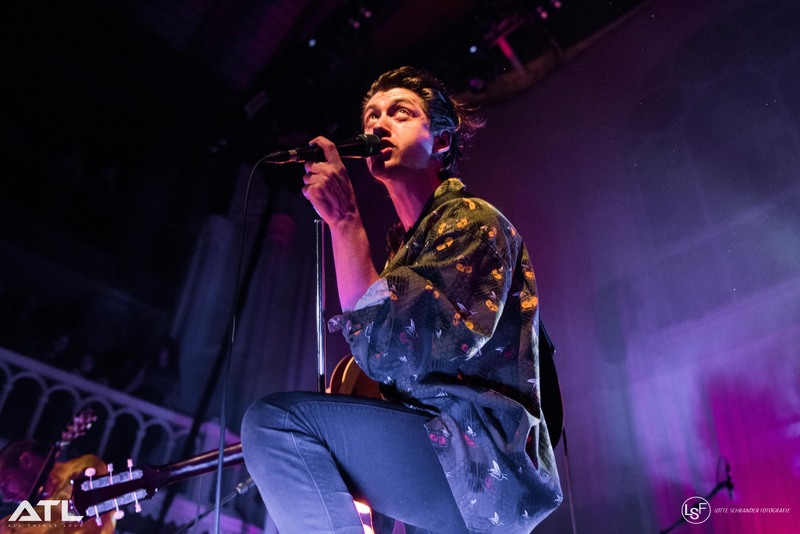 “Why colour in the lines if you’re just painting it black?” questions Turner on The Element of Surprise, a track which sees himself and Kane share vocal duties during the verses. 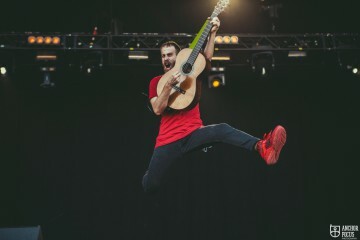 Aviation sees similar vocal-sharing take place, with the track opening in a similar fashion to how The Age of the Understatement opens (haunting string build-ups, seeing as you asked). The curveball comeback single Bad Habits, on the other hand, sees Kane take full control and inject all of his laddish energy into a track which is evidently far rockier and in-your-face than the rest of the album. 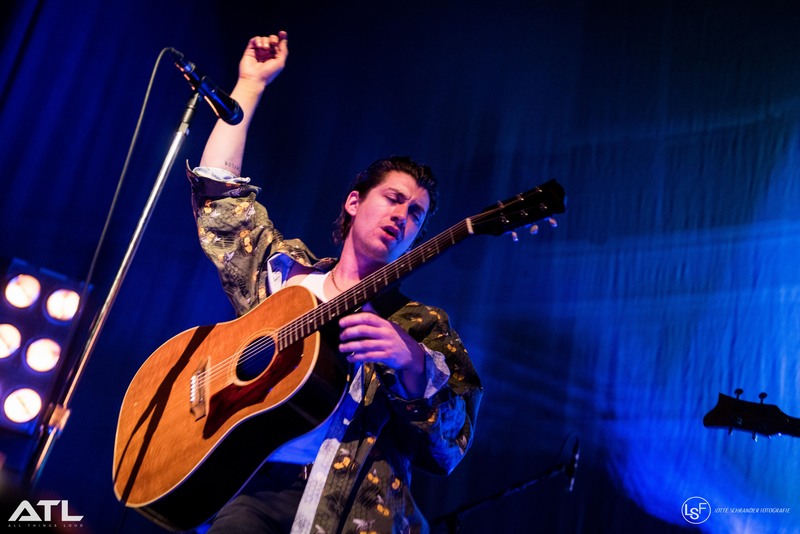 Cinematic, Bond-esque strings and Kane’s interjected wails eventually make way for a shredding solo courtesy of the man of the hour, one which gives him a chance to shine all by himself whilst Turner stands aside for a few minutes. Not that Turner minds, though. Turner and Kane have been friends since long before the Shadow Puppets began, and this makes it even more of a treat to watch them interact with one another onstage like brothers. Not many acts can possess this much chemistry and not get sick of one another at the end of it all, so props to the pair for sticking it out with each other this long. The double-header of Dracula Teeth and new album title track Everything You’ve Come to Expect are both precursors for what the final part of the show will present, and that’s a finale of epic proportions. From older cuts In My Room and Meeting Place all the way through to penultimate track Miracle Aligner (which places a heavy emphasis on Zach’s bass), the set seems like it can only go from strength to strength. In fact, the whole evening peaks just as the chorus begins on a powerful cover of The Beatles’ I Want You (She’s So Heavy). Epilepsy-inducing strobes and nearly eight minutes of epic guitar battles and huge verses echoed and flittered throughout the Paradiso at rapid speed, with the Abbey Road classic now featuring added strings and Turner’s silky smooth frontman camaraderie. The whole evening came to a close on Shadow Puppets classic Standing Next to Me, which made for a short-but-sharp ending to 90 minutes’ worth of swooping orchestral pop, indie rock and enough onstage energy between Turner and Kane alone to give the whole of Amsterdam power for a week. It hopefully won’t take another eight years before Turner and Kane reunite to make more music together, because it currently seems as though they have way more up their sleeve than what we’d expect from the pair. The new record may not have been as well-received by critics the world over as you’d hope, but live the new songs really come to life. Kane’s got the energy, Turner has the voice (and ego) and together they have the songs. Everything you’ve come to expect? Yes, and much more. Everything You’ve Come to Expect is out now. 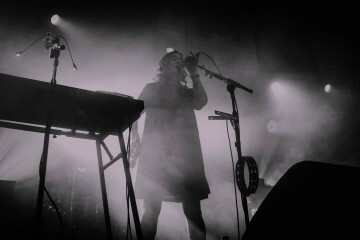 All pictures taken by Lotte Schrander.